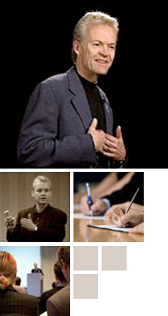 Download David Irvine’s free whitepapers. “Whitepapers” are a common term in business. What does that mean anyway? David offers a series of short essays he prefers to think of as guidebooks on the journey to better living and leading. Enjoy! The Other Everest takes us to the summit of the journey, as a milestone book in David’s career for business leaders and anyone committed to their own personal growth, providing a synthesis of David’s learnings, teachings, and wisdom gleaned over a lifetime of connecting and communicating at the cutting edge of entrepreneurial, business, and organizational culture. In a time that has focused on leadership development, management has inadvertently taken a bad rap. We’ve all heard about the difference between management and leadership. Management, we are told, is about “doing things right,” while leadership is about “doing the right things.” Management is about forecasting, budgeting and controlling, while leadership is about mentoring, inspiring and unleashing. Management is about things, while leadership is about people. Management is transactional and leadership is transformational. Far too often, tasks are assigned to employees in a haphazard way, hoping that the worker will “figure it out” and deliver an adequate, even superior, performance. If this is your accountability process, you will soon realize that ‘hope’ is not a very effective strategy. There is a practical process for holding people accountable – in a way that fosters trust, respect, open communication and gets a grip on results. Great cultures aren’t built in a linear, tidy fashion. Like building a cohesive marriage or family, it’s a messy process that involves clarity, disciplined action, and perseverance. If you are committed to attract and retain the best talent, provide the best possible service to customers, get a grip on results that matter, remain profitable, and reach your fullest potential as an organization, then culture will be your most critical competitive advantage. This is because organizational culture trumps everything else in business. Learn the essentials of designing and building a high performing organizational culture that will unleash the potential of your people. Are You Taking Care Of Your Best Employees? The best CEOs and executive teams are committed to taking care of their best employees. They understand that taking care of your talent asset is one of the best high-return investments to be made today. They know that when it comes to attracting and keeping your best people, rhetoric is simply not enough. Taking care of your talent asset is like taking care of your health. If you aren’t intentional about it, if you aren’t strategic about it, if you don’t have consistent habits surrounding it, it simply won’t happen. Learn the four fundamental keys and accompanying strategies that must be in place to protect your talent asset. If your business is at all connected to the oil patch, layoffs have become so common these past five years that it is unusual to meet a senior manager who hasn’t had to manage a reduction in their work force or isn’t in the midst of planning one. The decision to execute a layoff and the choice of who is to be laid off can be so wrenching that many managers have little energy left to consider what happens after the layoff. Leaders aren’t defined by the size of their office. Leaders are defined by the difference they make. While you might get promoted to being a boss, you don’t get promoted to being a leader. You have to earn the right to be called a leader by your ability to influence and your capacity to achieve results through others. Learn the fundamentals of leadership that will enable you to lead with presence, not position. To survive – and thrive – you have to adapt and embrace change. When you have made a decision to be a leader, you become an agent of change. But where is your road map? Where are your tools? There are eight stages of change. The first is chaos; the eighth is possibility. Once you lead yourself and others to embrace possibility, transforming chaos into confidence, resistance into wisdom, and fear into possibility, you have done your job. Learn a practical approach to embracing and leading your people through the stages of change. With everyone talking about the need for more accountability in the work place, why is it that accountability is so likely to turn people off? Why is it that unearned entitlement remains so prevalent, both in the workplace and in society? You have to get to the deep meaning and application of accountability. If you don’t, it becomes a hammer to blame and punish people, or at best, just another organizational buzzword. Learn a proven and practical philosophy and approach to accountability that helps leaders build trust, respect, and integrity, banish blame and fear, transform entitlement into ownership, close the gap between intention and success, and get a grip on results. Trust is the keystone of success in work and in life. It is the new global currency. It crosses cultures and generations. Trust is perhaps the most important issue facing the world today and lies at the foundation of every relationship. Building and restoring trust is your number one challenge, and your number one accountability as a leader. Building Trust, one of our e-books that form the framework for our on-line accountability program, outlines our hands-on, down-to-earth approach to building and restoring trust in your workplace and in your life. Leaders must lead with clarity. Without clarity of purpose, life is a merely a series of meaningless reactions to requests. Without clarity of vision people flounder. Without clarity of values, workplaces are merely “busy factories” consumed by the tyranny of urgency. Leading With Unusual Clarity, one of our e-books that form the framework for our on-line accountability program, outlines our hands-on, down-to-earth approach to clarifying your mission, vision, and values. Most importantly, you will learn how to turn inspiring statements into accountable action. A recent Gallup poll on employee engagement declared that 71 percent of North American workers are not fully engaged in their work. This means that roughly two-thirds of all employees are less than highly motivated to be productive, ultimately affecting customer satisfaction, profitability, innovation, and rising costs. Learn how to stand apart as a leader who connects to people’s passion and unique gifts, taps into their innate desire to contribute, brings out the best in others, builds an inspiring workplace environment, and gets beyond compliance to real engagement. With everyone talking about the need for more accountability in the work place, why is it that accountability is so likely to turn people off? Why is it so difficult to inspire people to be accountable? Why is accountability in such high demand today? Unless we clarify accountable to whom, for what specific results, and with what consequences, accountability remains an illusion. You have to get to the deep meaning and application of accountability. If you don’t, it becomes a hammer to blame and punish people or at best, just another organizational buzzword. This e-book gets to the heart of what it takes to be an accountable leader. You gain clarity and focus when you know what you value, and live in accordance with those values in both organizations and in life. You are able to make consistent decisions and take committed, concentrated, productive action. Ultimately, you are able to improve the results you get in those areas that are truly most important to you and to the organizations that you serve. This e-book walks you through the basis of building value through values: how to create meaningful values in an organization – and how to turn value statements into real values through a clear and powerful accountability process.